Choosing a WordPress theme for your blog, whether it’s a brand new project or your current income stream, is a daunting task. There are so many to choose from with so many price points from free to one-off fees to annual costs. To help you feel less overwhelmed, I’m going to talk about the aspects you should consider when making that all important decision! Note: This post contains affiliate links meaning that although your price won’t change, FTB will make a small commission on any products you purchase using these links. This is a very personal aspect, some people choose to spend hundreds on their website and others strictly use free themes and plugins. 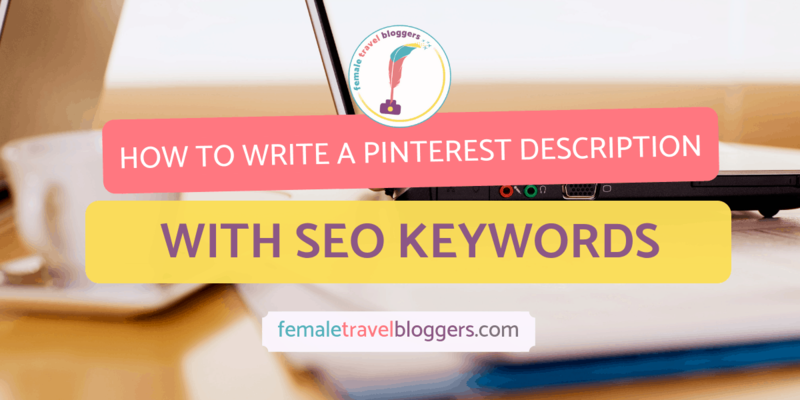 And, to some extent, it will also depend on where you are in your blogging journey. There are some great themes that are perfect for getting started, however, once your blog has grown and you’re at a point where you want to develop it further, free themes will at some point becoming limiting. With 2/3 of users accessing your website from their mobile device, it’s more important than ever that your website is responsive. This means that the design will work on any screen size from small cell phones right up to large desktops, your users should enjoy their experience on their site. In 2018 Google is shifting it’s priority to the mobile platform so designing a site on a desktop then editing it to be ‘ok’ on mobile screens, just won’t cut it! Many themes, both free and paid, are responsive right out the box but there are plenty that requires the installation and configuration of additional plugins so that they work well. This not only requires more technical knowledge but also requires more plugins and therefore more weight to your site. For the commitment-phobes out there, signing up for a new theme doesn’t have to be the start of a long relationship. Sure, if you’re happy with it then stay but if it doesn’t tick all your boxes you should be able to leave when you want to. Whether you’re someone that sticks to things until the bitter end or someone who likes to float around trying anything and everything should certainly be considered when choosing a WordPress theme. We know how it goes, you create pages, write posts, add images and share everything on social media. Then you realize you need to have social sharing icons so all your readers can shout about your content. Plus you need a way for them to sign up to receive your entertaining newsletters every month. Then you need to make sure your site is optimized for speed. Before you know it you’ve added a plugin for everything and your lightweight theme is heavier than something really heavy. One of the advantages of many premium themes, like the ones from Elegant Themes, is that they more than likely includes a range of native modules or elements. These will mean you don’t need additional plugins and therefore only need to learn how to use your theme and not individual plugins too! Whether you go for premium or free when choosing a WordPress theme make sure to think about the features you’d like to have and ones you’ll need then check whether the theme has that functionality included. 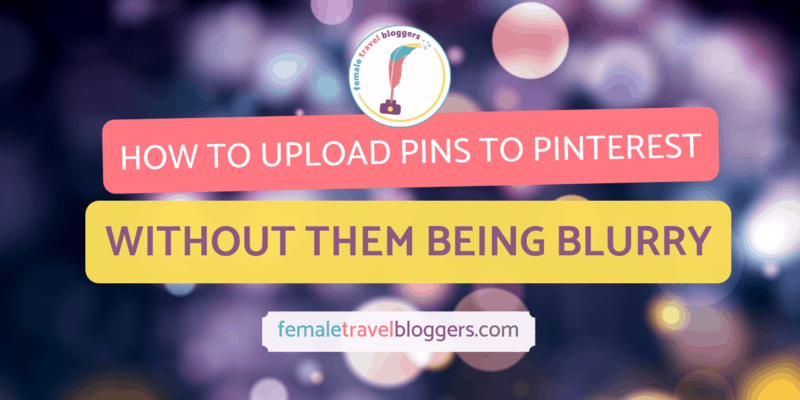 If you’re looking for ways to take seconds off your blog loading time, head over here. Sometimes, the more options there are, the more daunting something can seem. However, when choosing a WordPress theme, it’s important to choose a theme that you can fully customize so that you can showcase your branding and implement a design you love rather than being restricted from the layouts, or design of certain elements, that some free themes use. If you’re feeling techy, you should be able to use CSS to edit every aspect of your site but, having a navigation bar that can be customized from within the theme is so much more pleasant than fiddling around with code to get it looking spot on. There’s nothing worse than finally making a decision, investing in the purchase, eagerly logging in to get started making magic happen on your site only to find you fall at the first hurdle. Or at the 50th. No matter when it is, you’re likely to come to a point where you get stuck and no amount of Googling helps. Free themes often come with very limited support, if any but premium themes come with a range of options from dedicated Facebook groups to live chat services, you can usually find someone to help you work out that oh so simple sounding issue that has you baffled. A great theme has a great support team behind it! With various options of how to create your website, ranging from using drag and drop builders, traditional editors, visual builders and more, it’s important to go with a theme that works for you. The visually driven people amongst us will likely find a visual builder more appealing whereas there are plenty of people who thrive in the back end of a site putting it all together there before checking the visual results. A good theme will have options so you can turn visual builders on and off depending on not only your development style but also on your mood. The FTB Team use a range of themes between us, this website is built with Elegant Themes’ Divi theme as our several of our own. We also highly recommend Studio Press. If you’re looking for a free WordPress theme, Zermatt and Fall are perfect for travel blogs. SEO. Those three letters have the power to make any blogger break out in cold sweats. We all know Google likes us to include keywords in certain places and that our sentences should be just the right length. However, it’s common to forget about SEO at the building blocks stage of a website – choosing the theme. You’d be forgiven for thinking that any theme can be optimized for SEO and, while that’s largely true, they all differ in how easy it is for you do just that. A well-optimized theme should make it easy for you to include keywords, have organized code, be lightweight, enabling you to optimize your images from within WordPress and, as we have talked about, be responsive. 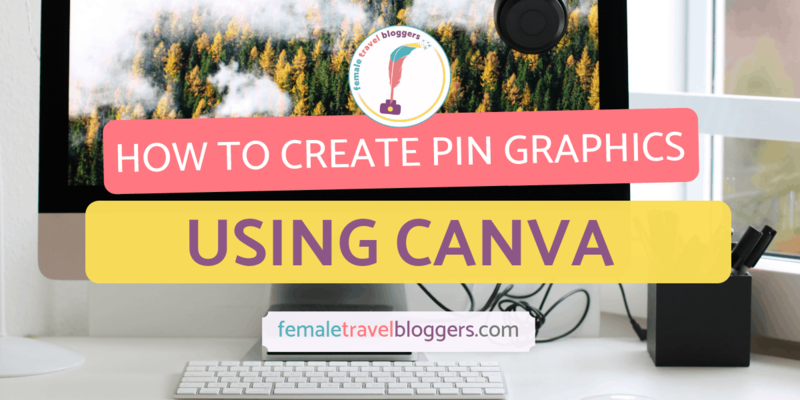 Click on the pin below to save this guide on how to choose a wordpress theme to your Pinterest board! Originally from the UK, Lottie has traveled extensively across 6 continents & lived in Australia, Canada & South Africa. She ditched the bright lights of primary classrooms to embark on an adventure exploring South Africa in a caravan as a location independent freelancer. Her next adventure is taking her, temporarily, back to the UK where she will be living in a narrowboat and bobbing around on the waterways. A self-proclaimed princess who loves all things pink and sparkly; connect with Lottie at her site Princess In A Caravan. I just went through a selected a new theme for my blog, and this was all really great advice. Thanks! We are so glad it was helpful. These are really good tips! I think responsiveness and lightweight were at the top of the mind when I was looking for a theme. I use a free theme: Kale which though advertised as a blog suited for food bloggers works really well for travel. Love the name Kale haha. 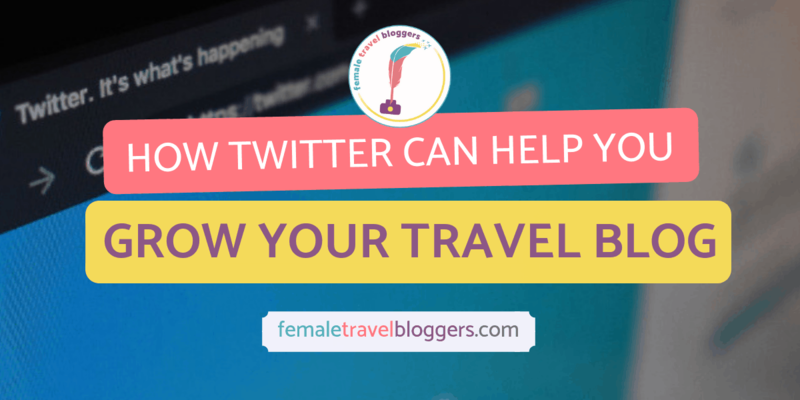 Food and travel blogs are closely related and a theme could work well for both. Your last point about SEO in choosing a theme is really making me think if I have made the right decision. I actually just revamped my site fearing I am loosing traffic due to lot of factors. And well it has not really improved! There are lots of factors involved, make sure your theme is set up properly to provide a good user experience for your readers and ensure you have your site indexed and your site hasn’t slowed down too much with your theme change. Choosing the correct theme is such a task. Thanks for sharing such an informative write-up. I am surely going to take all of this into account while revamping my blog soon. We’re glad you enjoyed it. If you have any questions, let us know! This is all really fantastic advice. I’m in the market for a new wordpress theme so I will be referencing this list of things to consider when choosing it. 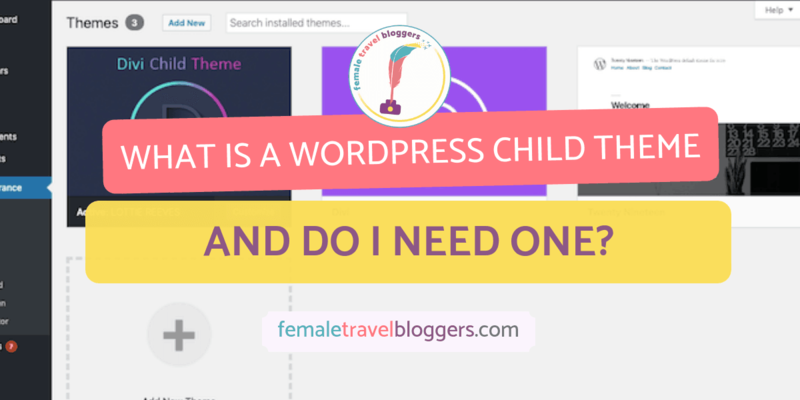 There’s a lot to consider so it’s great to have a checklist I can go through when picking out a wordpress theme. We can’t wait to see what WordPress theme you go with! Keep us updated. This was really helpful! I have had trouble picking a theme and seem to want to change it often. Great tips – thanks!